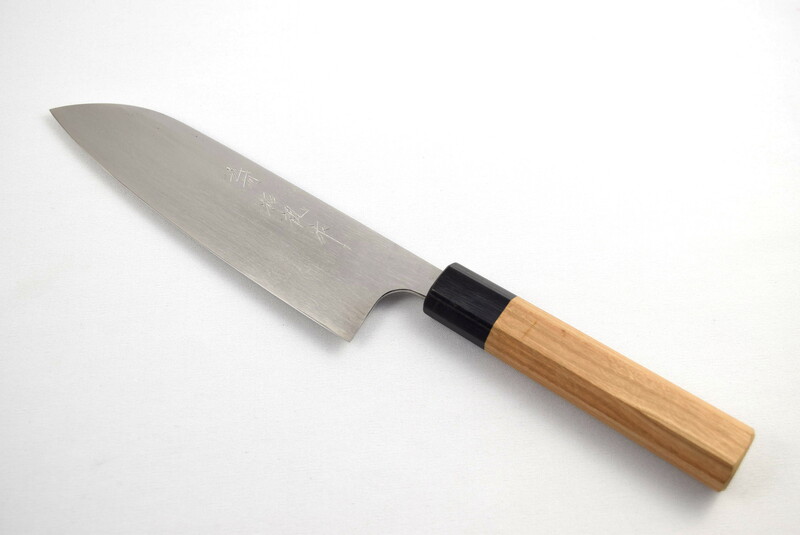 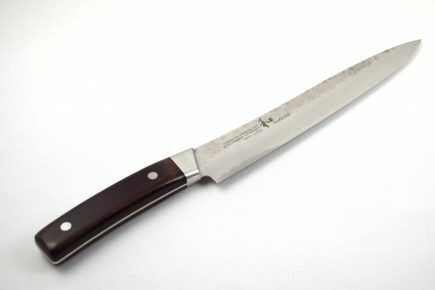 Ikeda Aogami Super Santoku knife with a 170mm blade. 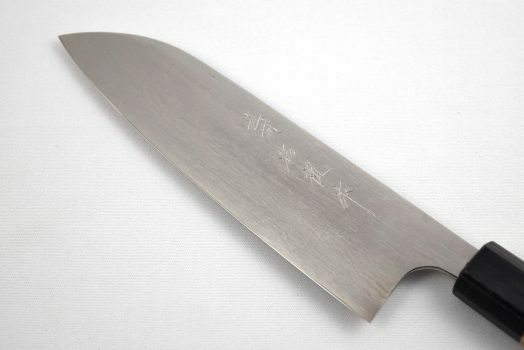 The Ikeda Aogami Super range is made out of an Aogami Super high carbon steel in a damascus finish. 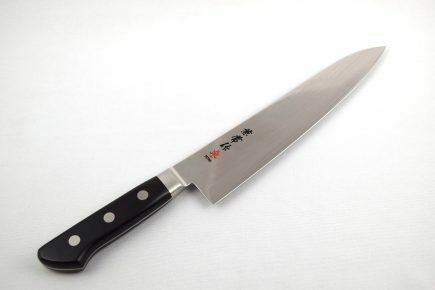 Aogami super is the best blue paper steel from Hitachi and many experts say it is one of the best steels for knives. Well known for durability and edge retention. 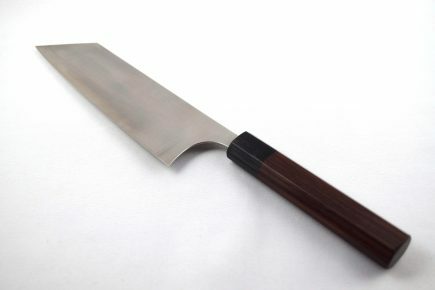 Beautiful octagonal handles made out of American cherry wood with ebony bolster.